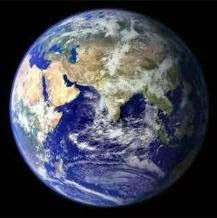 Research led by Profs Peter Cawood and Chris Hawkesworth of the Department of Earth & Environmental Sciences has shown that Earth’s middle age (from 1.7 to 0.75 billion years ago) was characterised by relative environmental stability with little crust-building activity, no major fluctuations in atmospheric composition and few substantial changes in the fossil record. In contrast more volatile events such as major ice ages and changes in oxygen levels occurred before and after. The study suggests that gradual cooling of the Earth's crust over time may have been the cause of this middle age stability. Prof. Cawood is quoted: "Before 1.7 billion years ago, the Earth's crust would have been substantially hotter, meaning that continental plate movement may have been governed by different rules to those that operate today; 0.75 billion years ago, the crust reached a point where it had cooled sufficiently to allow modern-day plate tectonics to start working, in particular allowing subduction zones (where one plate of the crust moves under another) to form. This increase in activity could have kick-started a myriad of changes including supercontinent break-up and changes to levels of key elements in the atmosphere and seas, which in turn may have induced evolutionary changes in the life forms present."